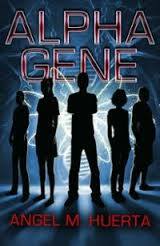 After being unjustly accused of murdering his friend and partner, Dr. Lucas McKenna relocates to a small town in Maine to live a quiet life pursuing his passion: genetics. When he is mistaken for an obstetrics physician and delivers a child who mysteriously flickers in and out of his visibility, the doctor believes he may have stumbled onto the next great evolutionary leap in humanity. He follows the girl’s progression and soon discovers several more children who seem to possess extraordinary gifts. While the doctor’s actions may seem creepy, he assures the reader he is only pursuing the science and intends no harm to the kids. Years later, when Peter, a new, strangely gifted teenaged boy arrives in town with his family, he meets up with the other teens with special abilities. As he emerges as the leader of the group, he begins to try to convince the others to challenge local bullies and stand up for themselves. His efforts go awry, and the bullies are quick to take advantage, but Peter is not giving up so easily. He will need all his tenacity, too, when a bigger, darker threat emerges and threatens the life of the only person who truly understands the abilities the kids possess. It will take the whole team of kids working together to save the doctor before it’s too late. The story begins with an interesting, birds-eye perspective from the elderly genetics doctor, the man who later discovers the emergence of new abilities in humans. As he tells his tale, he often pauses to relate other stories, from his marriage to his late wife to his coffee pot, to how Peter’s family dog came to live with them. While at times charming, sometimes this chops into the forward motion of the story, creating a little bit of confusion. When Peter’s point-of-view is introduced, the narrative evens out a little more. Prickly at first, Peter soon grows into the leader of the group of misfit teens and begins to inspire them to be more than they currently are. Readers who enjoyed Unleashed by Jennifer L. Hartz may also enjoy this story. Some brief physical confrontations. No graphic details or violence.